2016 DISCOVERY SPORT HSE “TURBO” LOADED!! 2015 VW PASSAT CC “TURBO” IMMACULATE!! 2014 AUDI Q7 QUATTRO 4X4 FULLY LOADED!! Designed to help you select the car that suits you the most, with easy browsing providing many features such as search, detailed photos with descriptions and even scheduling a test-drive of your preferred car. Select your car and walk into any of our showrooms to experience the best quality cars in the UAE. Carefully selected vehicles which are accident free and in immaculate condition. To reflect the confidence we have in the cars we sell, we also provide warranty , repair and regular service at our very own 4×4 Garage which will take care of the regular maintenance to keep your car in the best of shapes. A family established business since 1985, with Over 30 years of experience in the Motor industry. Voted “Dealer Of The Year” by Standard Chartered Bank for 5 consecutive years. 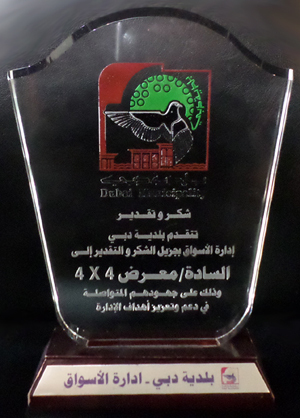 And to top it all … continuous appreciation from Dubai Municipality. Our P.D.I Department at 4×4 Auto Services consists of a qualified team of Pre Delivery Inspectors, who ensure that every vehicle is subject to a rigorous 100-point check. 4×4 Motors is recognised as the official evaluator for all local/multinational banks. At 4×4 Motors our values never change. We are constantly striving to bring incomparable service to our clientele. We have been recognized as the largest used car dealer in the Middle East and we intend to stay there. With our team of internationally experienced sales executives, who believe once you become our client you will become our friend. Please visit our showroom and see the most competitive prices on all of our vehicles.